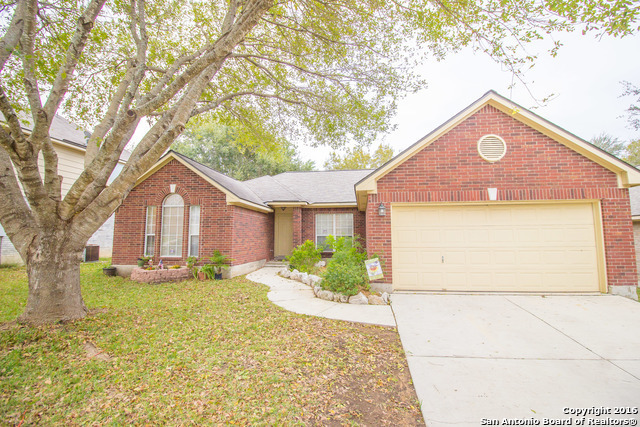 The pride of ownership boasts throughout this well maintained 3 bedroom 2 bath home located in a very sought after SCUCISD. This home has many updates to include a new roof installed last year, the ac unit is a Trane & only a few years old, lifetime foundation warranty & comes w/ stainless steel appliances! All the bedrooms are over-sized w/ walkin closets! RAFB & IH35 are just down the street for a quick commute into SA or to N.B./Austin area. This home won't last long so schedule your showing today!